The oxygen is delivered to the skin with the help of hyperbaric chamber. The chamber has more air pressure than the atmosphere and thus, helps carry more oxygen to the blood. They infuse active oxygen serums into layers of the skin. This method initializes the process of osmosis in the skin and delivers a mix of essential elements, hydro compounds and amino peptides. Intraceuticals Oxygen Treatment in Brisbane that we are offering includes Shahnaz Herbal Facial which deeply moisturizes the face so that all the elements get completely absorbed by the skin and the skin feels fresh and soft. 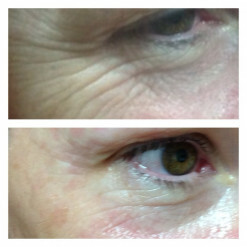 Intraceuticals Oxygen Treatment is an excellent treatment for the mind as well as skin. Not only has it been to provide a fresh look to the person, it also helps in increasing concentration and reduces stress. Intraceuticals Oxygen Treatment in Brisbane also increases the healing process of tissue and is effective treatment against acne. For people looking for a fresh and youthful appearance of skin, Intraceuticals Oxygen Treatment in Brisbane is the way to go.